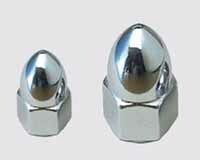 ASTM B574 Hastelloy Nut, Hastelloy Bolt, Hastelloy Alloy Shoulder Nuts, Hastelloy Alloy Bolt, Hastelloy Alloy Nuts, Hastelloy Bolt/Nut Suppliers and Exporters in Mumbai, India. 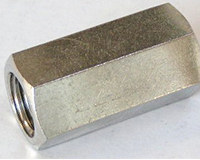 Hastelloy Alloy Square Bolt/Nut, Hastelloy Alloy Coupling Nut Exporter, Suppliers of ASTM B574 Hastelloy Hex Head Bolt, Hastelloy Bolt/Nut Manufacturer in India. 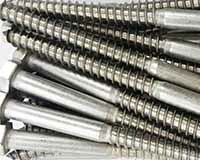 Ganpat Industrial Corporation offers an extensive collection of Hastelloy Alloy Fasteners (Bolts / Nuts), where we hold the expertise in offering a wide range of these alloys. 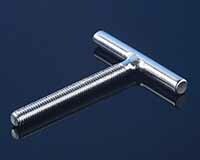 Hastelloy Hex Head Bolts are widely accepted by plant operations management and maintenance specialists who appreciate their toughness and ability to withstand very aggressive fluids. 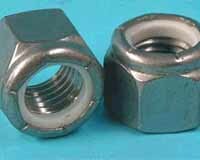 These Hastelloy Hex Head Nuts has shown an outstanding resistance to a wide range of chemicals, including chlorides, organic and inorganic solutions. 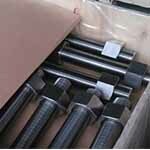 Hastelloy Square Bolts also resists sulfuric, phosphoric, formic, acetic acids and other non – oxidizing media. 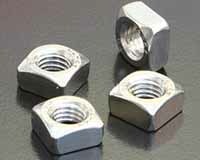 These Hastelloy Square Nuts has excellent resistance to pitting corrosion, stress corrosion cracking, and knife line and weld heat – affected zone attack. 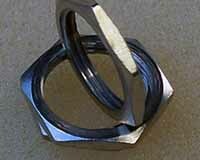 In addition to having exceptional corrosion resistance, Hastelloy Eye Bolts can also be readily fabricated. 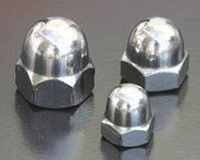 These Hastelloy Eye Nuts exhibits superior welding conditions, providing excellent as – welded conditions for process applications in chemical – based industries such as food, beverage, personal care, and pharmaceutical. 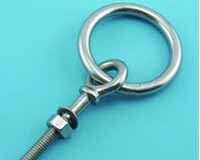 We also offer these products in different grades such as Hastelloy Fasteners (Bolts / Nuts), Hastelloy Fasteners (Bolts / Nuts), Hastelloy B2 Fasteners (Bolts / Nuts), Hastelloy B3 Fasteners (Bolts / Nuts), and Hastelloy X Fasteners (Bolts / Nuts). 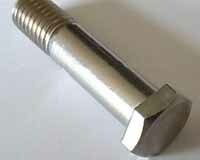 Ganpat Industrial Corporation is one of the prominent exporter and supplier of these Hastelloy T-Bolts, where annealing can be performed at a temperature range between 2020 Degree F – 2150 Degree F followed by a rapid quench. 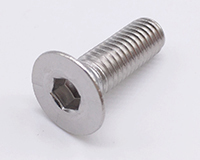 Hastelloy Lock Nut, Hastelloy Alloy Eye bolts, Hastelloy Alloy Panel Nut, Hastelloy T Bolt, Hastelloy wing Nut, B574 Hastelloy Alloy U Bolt, Hastelloy Alloy Lag Bolt, Hastelloy Alloy Counter sunk Bolt Manufacturer in Mumbai, India. 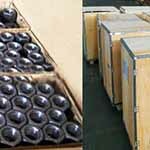 Los Angeles, Aberdeen, Ahmedabad, Busan, Coimbatore, Caracas, Bogota, Bengaluru, Ludhiana, Toronto, Ahvaz, Kolkata, Lahore, Granada, Rajkot, Ho Chi Minh City, Visakhapatnam, Geoje-si, London, Brisbane, Kuala Lumpur, Lagos, Ankara, Atyrau, Thiruvananthapuram, Pimpri-Chinchwad, Ernakulam, Chandigarh, Perth, Tehran, Melbourne, Madrid, Baroda, Nashik, New Delhi, Bhopal, Milan, La Victoria, Al Khobar, Noida, Kanpur, Rio de Janeiro, Al Jubail, Howrah, Haryana, Secunderabad, Istanbul, Mexico City, Chennai, Edmonton, Jamshedpur, Petaling Jaya, Singapore, Colombo, Indore, Calgary, Chiyoda, Bangkok, Hyderabad, Muscat, Jakarta, Vung Tau, Dubai, Gurgaon, Dammam, Vadodara, Surat, Manama, Dallas, Doha, Mumbai, Sydney, Abu Dhabi, Pune, Hanoi, Houston, Courbevoie, Kuwait City, Port-of-Spain, Algiers, Santiago, Thane, Riyadh, Cairo, Ulsan, Nagpur, Moscow, Jaipur, Karachi, Gimhae-si, Seoul, New York, Sharjah, Montreal, Jeddah, Navi Mumbai, Ranchi, Hong Kong, Faridabad. Switzerland, Saudi Arabia, Iraq, France, Belgium, Israel, Peru, Argentina, Nepal, Portugal, Azerbaijan, India, South Korea, Hungary, Tibet, Ghana, Bangladesh, Estonia, Poland, Indonesia, Greece, Kuwait, United Arab Emirates, Serbia, Canada, Germany, Trinidad & Tobago,Tunisia, Libya, Morocco, Singapore, Venezuela, Turkey, Afghanistan, Nigeria, Egypt, Thailand, Malaysia, Bolivia, Sri Lanka, Belarus, Mongolia, Lebanon, Namibia, Mexico, New Zealand, Sweden, Chile, Colombia, Netherlands, Taiwan, Pakistan, Philippines, United States, Iran, Brazil, Mexico, Bahrain, Algeria, Puerto Rico, Vietnam, Lithuania, Jordan, Norway, Kazakhstan, Austria, Nigeria, Slovakia, Macau, Croatia, Ireland, Gabon, Qatar, Zimbabwe, Ecuador, Spain, Angola, China, Italy, Czech Republic, Bhutan, Hong Kong, United Kingdom, South Africa, Romania, Poland, Japan, Yemen, Kenya, Russia, Chile, Australia, Gambia, Iran, Ukraine, Oman, Costa Rica, Bulgaria, Finland, Denmark.